Apparently during the upgrade Windows 10 installs the Broadcom Bluetooth 3.0 USB, which is incorrect for the Logitech mini-transmitter and will not start. First, download and install the latest version of SetPoint from Logitech [6.67.82_64]. Then under Device Manager uninstall the Broadcom Bluetooth 3.0 USB. Unplug the Logitech dongle, if not done already. Then, with SetPoint opened, plug the dongle back in to an available USB port. 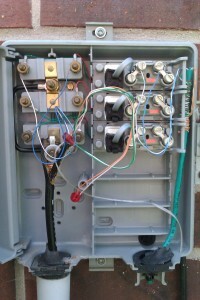 The codes are usually explained on a wiring diagram that is on the back panel. Check yours, it might be different! For me, a continuously blinking light is normal. FYI, for a modern furnace, Never attempt to light your furnace manually. It likely uses a direct ignition system so when power is cycled, the pilot will then ignite automatically. It’s better to just call your gas company if there was an outage. There are many apps to stream from computer to phone (AirStream: Stream PC over Air or SoundWire) but I want to listen to a podcast or music using my Android phone but listening on my computer or headset. It’s a good thing you can play the song wirelessly using Bluetooth on both the devices. Install Microsoft Windows Mobile Device Center. Turn on Bluetooth on the computer and the phone then each of them visible. Pair your phone and your computer with each other. Right-click on the Bluetooth icon in the system tray again but now select Show Bluetooth Devices. Right-click on your paired phone and click on the Bluetooth Operations. Click on the link to activate. If you run into a problem, check this out. A humming sound coming from your garbage disposal? It’s could be a Stuck Flywheel. Use the 1/4” Allen wrench (hex key) that came with Garbage Disposal and twist back and forth a few times. In the mid 1960’s the Bell System companies used the 505A plug, a round connector with four prongs. We’ve moved to the de facto standard of Registered Jacks. 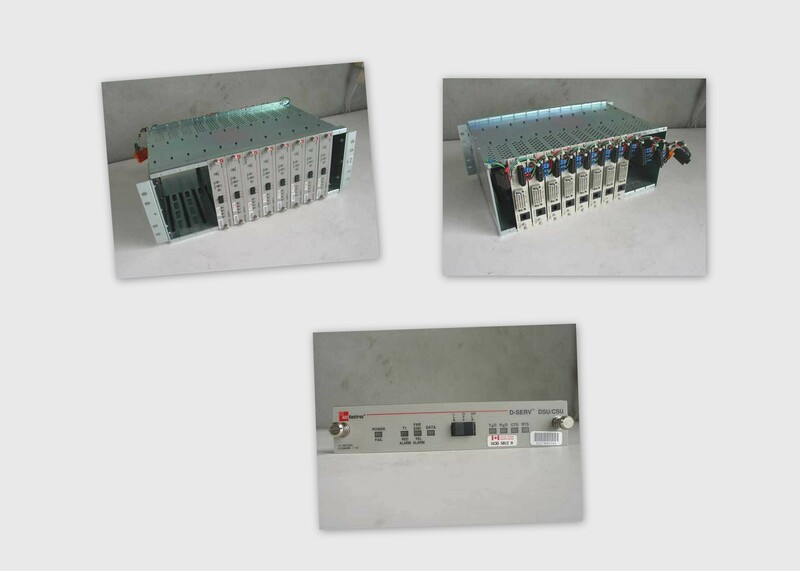 RJ71C 50-pin micro ribbon 12 line series connection using 50-pin connector (with bridging adapter) ahead of customer equipment. Mostly used for call sequencer equipment. 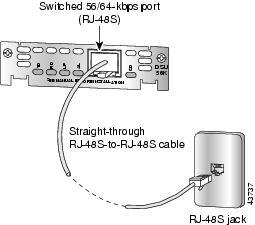 The RJ48C is used for T1 service. 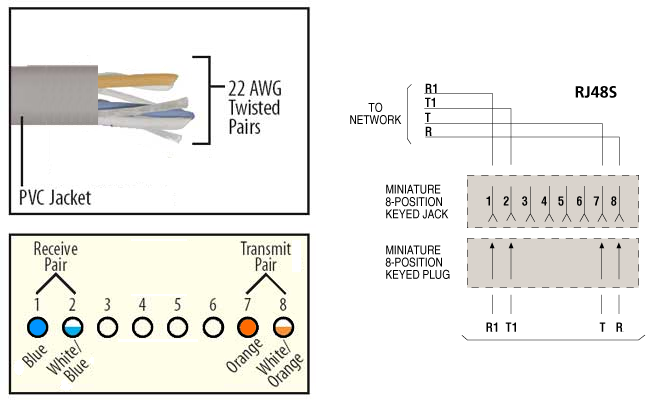 There are three subsets within RJ-48: RJ-48C, RJ-48X, and RJ-48S. 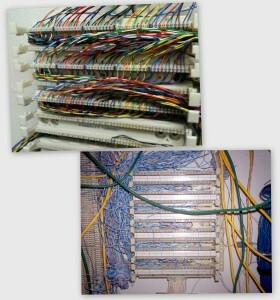 RJ-48C and RJ-48X are very similar, though RJ-48C is more common. 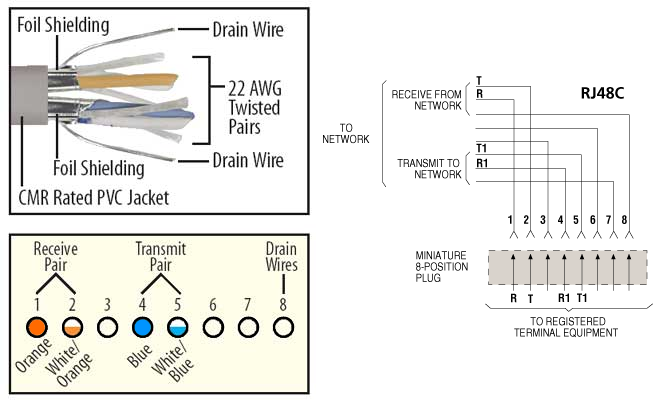 Both use lines 1, 2, 4, and 5, and connect T1 lines. 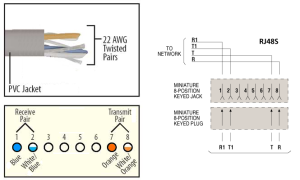 RJ-48X connectors, however, have shorting bars. 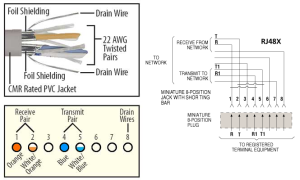 RJ-48S uses lines 1, 2, 7, and 8, and generally connects 56K DDS lines. 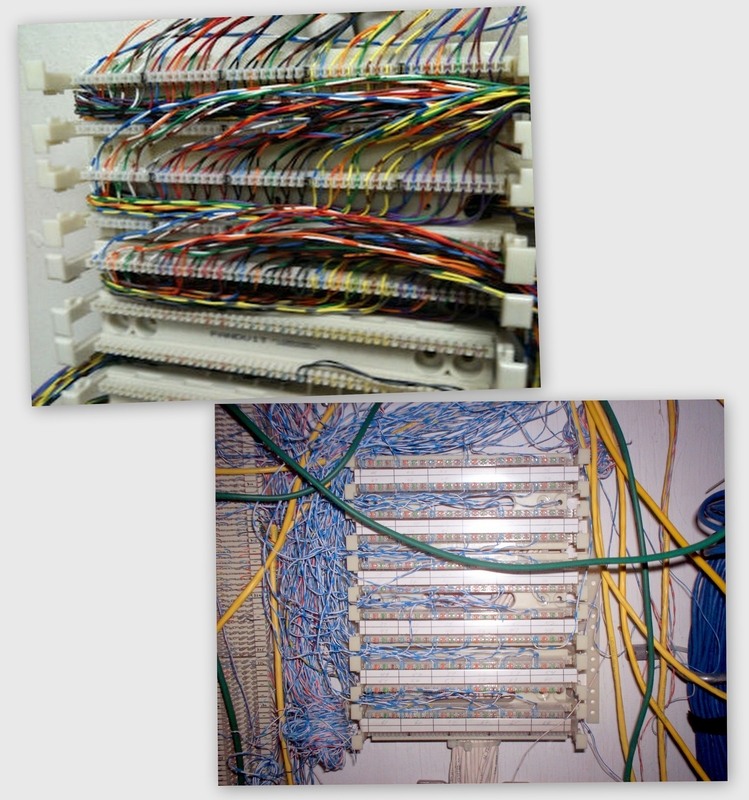 An RJ48S is used for subrate data services or a 56K DS0. 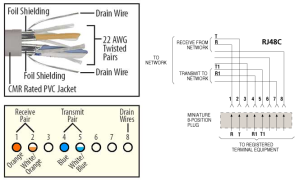 The demarcation point (DMARC) is the point at which the public switched telephone network (PSTN)ends and connects with the customer’s on-premises wiring (called Inside Wire or IW.) Don’t confuse this with a NIU, it’s the same but different. Used around 1915. 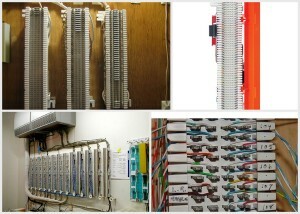 The phone company line from the pole connected at the top binding posts marked “L” for “Line”, the house wiring connected to “I” for “Inside” and G for Ground. 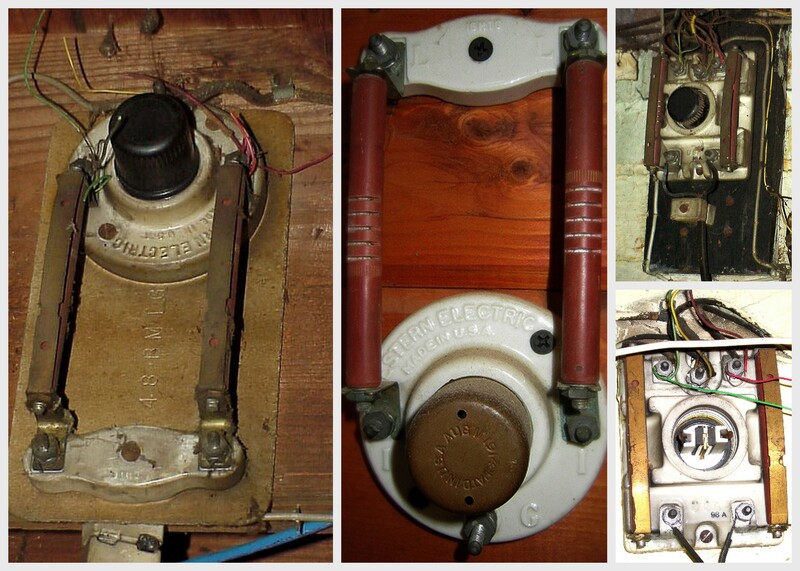 In later years the Bell System added copper straps that bypassed the fuses… unsure why. 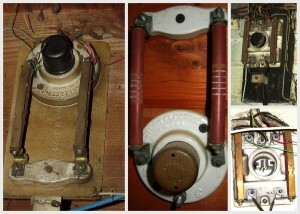 The Western Electric Type 58A Protector, circa 1900, protects against lightning and other high voltages. The carbon and porcelain block! 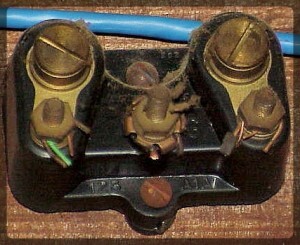 In the presence of high voltage, the carbon blocks under the pressure of the spring would be moved to earth after the restraining glue melted. The whole thing had to be replaced. In the 1980s, Ma Bell started using a gas-filled protector. In the presence of high voltage, the gas ionizes and provides a path to earth (ground). 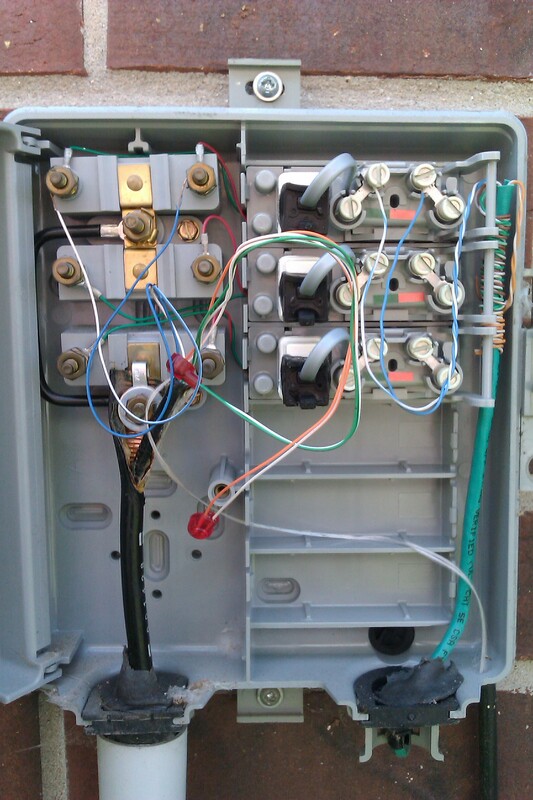 When the voltage is removed, the protector returns to its normal state. Not a one shot deal like the older carbon ones. 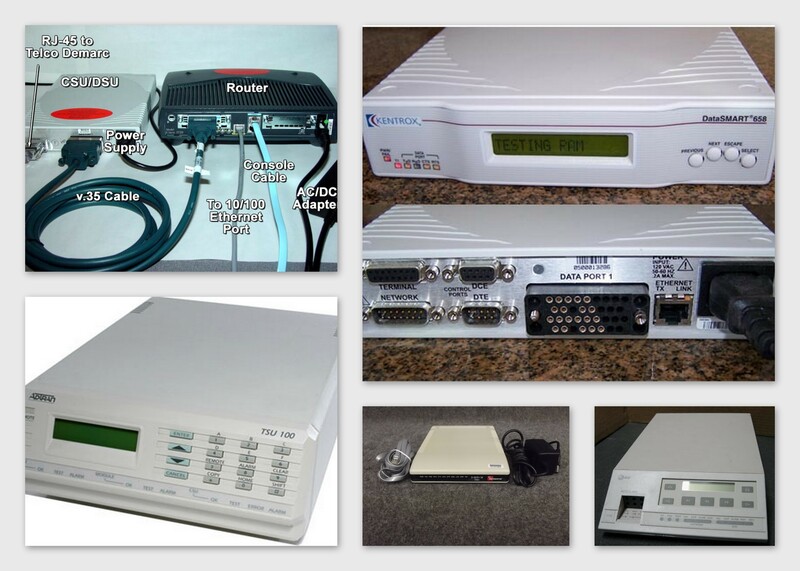 Use before the advent of Network Interfaces. NID with Telco access opened. What about businesses? Do they just have 66 of these on the wall, one for each line? 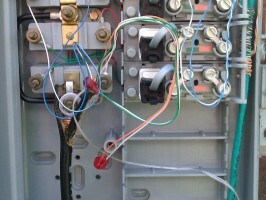 Don’t be crazy, they use a 66 block / M-Block / B-Block as a type of punchdown block to terminate the line. 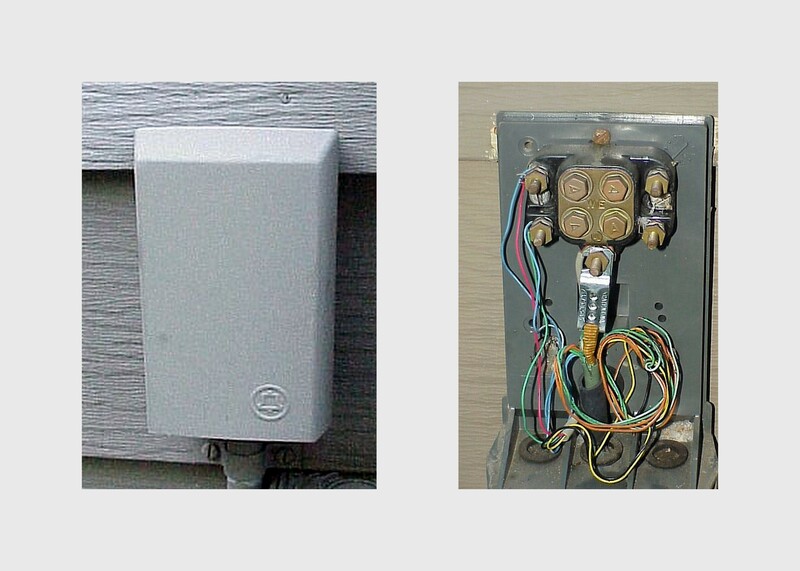 Introduced in 1962, the term “66 block” simply reflects its Western Electric model number. 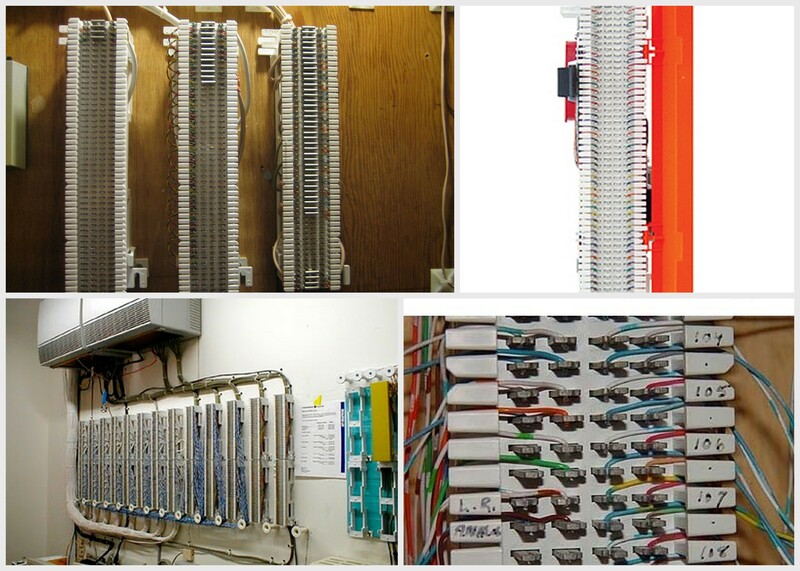 110 style blocks allow a much higher density of terminations in a given space than older style termination blocks. A Data Service Unit/Channel Service Unit (DSU/CSU) WAN Interface Card ( WIC) these days is usually a blade on a router. In the past, these were separate. 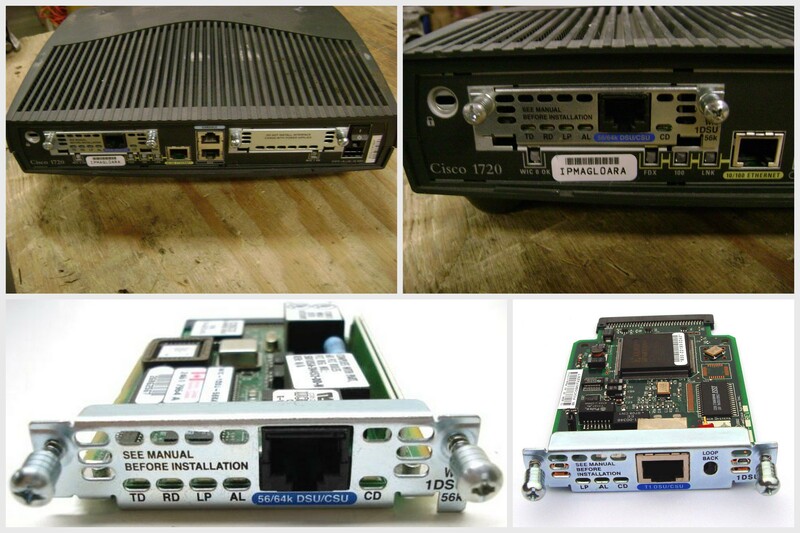 The CSU originated at AT&T as an interface to their non-switched digital data system. 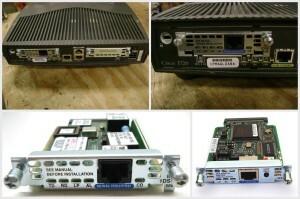 The DSU provides an interface to the data terminal equipment (DTE) using a standard (EIA/CCITT) interface. It also provides testing capabilities. 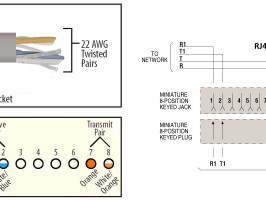 They evolved from standalone hardware, to shelf type systems and are now just a blade or Wan Interfacde Card (WIC) in a router. TD Data is being transmitted to the DTE interface. RD Data is being received from the DTE interface. LP Internal DSU/CSU is in loopback mode. AL One of these alarm conditions is present: no receive signal, loss of frame signal from the remote station, or out of service signal from the remote station. This LED is off during normal operation. Push this button to place the WIC into loopback mode. 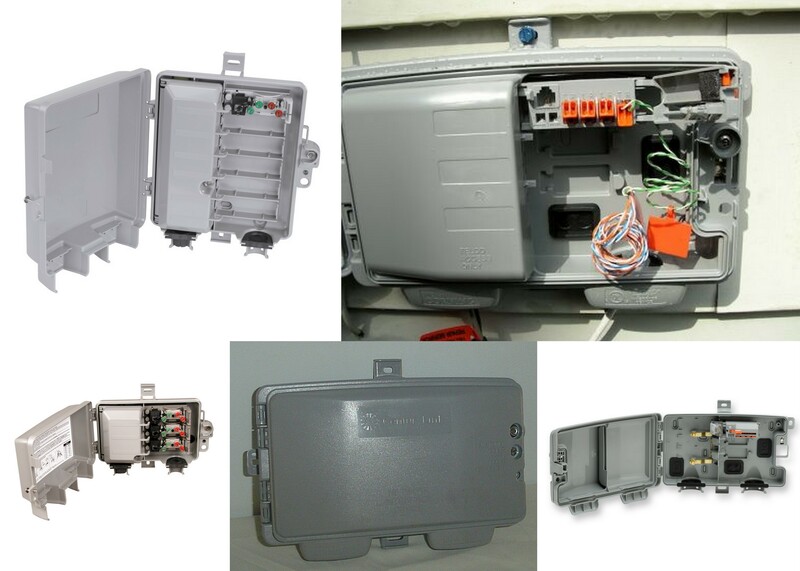 The service provider can send a signal to test the connection from your site to the central office switch. Push this button again to turn off loopback mode. 3 flash flash flash Circuit is experiencing errors, but still passing traffic. 4 CSU detects a total disconnect. 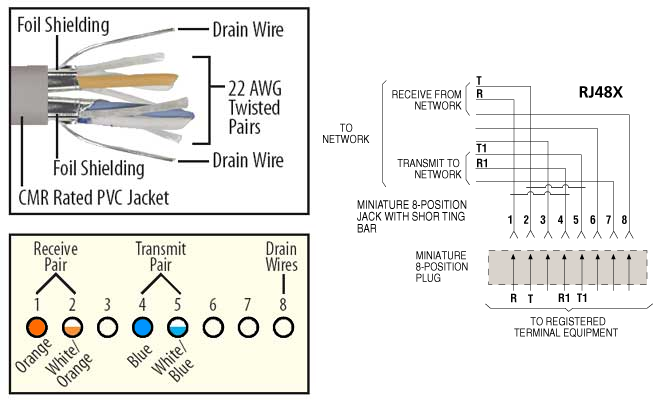 Circuit disconnected/no cable.